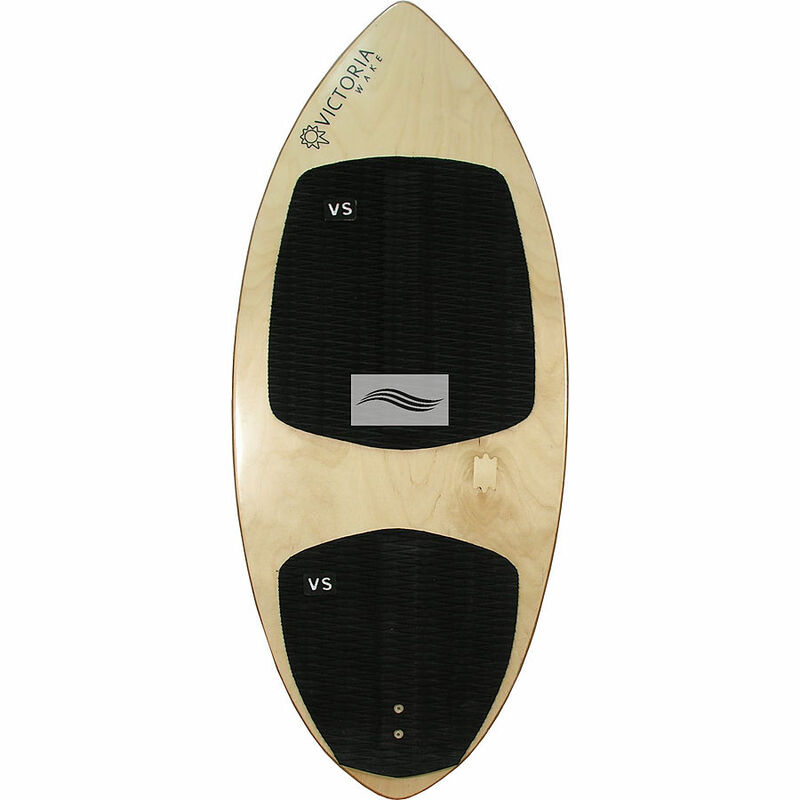 5	stars -	"Review for Victoria Skimboards Debut Wakesurf Board" Mark Taylor This Victoria Skimboards Debut Wakesurf Board is the best Wakesurf I have tried. From getting the grom up for the first time to throwing the carbon stick on the rack and changing it up, the Debut is a cruiser the entire boat will enjoy. Taking advantage of the flex in the Pressed Russian Birch core has given us a ride that is forgiving and straightforward. A great training tool for first time surfers, every boat on the water should have one of these on the rack. 37-55 Kg 48.0" x 20.1"
Medium 45-73 Kg 50.0" x 21.0"
Large 64-91 Kg 52.2" x 21.4"